There are few places on earth as romantic as North Island, Seychelles, one of the world’s most exclusive private islands. Home to some of the most pristine landscapes, North Island’s lush palm forests, sugary beaches and dramatic granite peaks paint the picture for an idyllic Valentine’s escape. 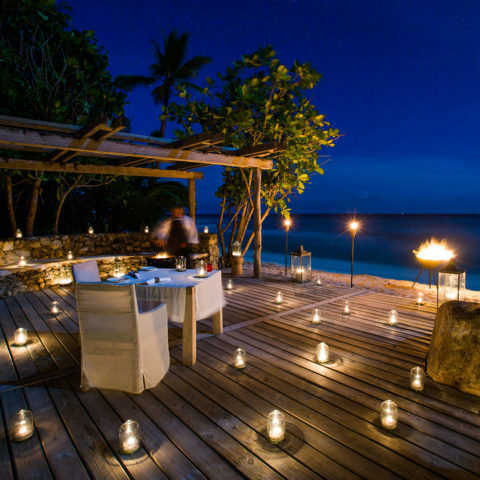 North Island is renowned for romance, from its complete privacy and exclusivity to the natural beauty on every side. With only 11 villas discreetly positioned along one of the Island’s four beautiful beaches, one has the feeling of having your own private island, just for two. The expansive villas come with the highest level of personalised service and a private Villa Attendant to tend to your every need. The Island’s offering provides complete freedom and flexibility, with no set schedules or restrictions. One has the luxury of choice when deciding how to spend time together memorably, from learning to dive at North Island’s PADI Dive Centre and exploring the beauty of the Seychelles’ underwater world together, to booking the secluded Honeymoon Beach for the day and enjoying a gourmet picnic alone on an untouched beach without a soul in sight. Start the day with a guided sunrise hike up Spa Hill or a morning yoga class at the Gym, and end the day with a private sunset cruise around the Island or watching a classic romantic movie on a ‘sail screen’ hung up between two palms on the beach – just the two of you. Both a tranquil hideaway and exciting getaway, North Island balances rest and relaxation with escape and exploration, all in perfect harmony with nature. 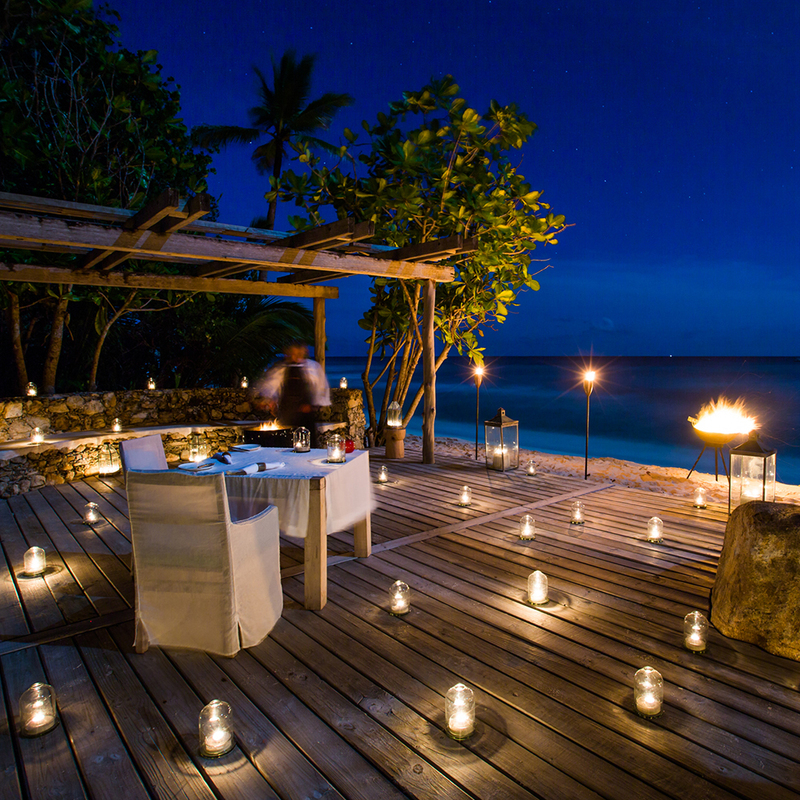 North Island’s bespoke dining concept caters to guests’ unique tastes and offers the most romantic private dining venues. The entire Island is at guests’ disposal. Guests can choose a sophisticated candlelit dinner at the Piazza, a private dinner under the stars at the Helipad, Champagne and canapés over a bonfire on Spa Hill, a lazy lunch in the privacy of the villa overlooking the aquamarine waters of East Beach, or a seafood beach barbeque after watching the sun set with cocktails and aperitifs at West Beach. Anything and everything can be arranged. Chefs design daily menu suggestions from the freshest ingredients foraged from the Island and guests can choose fine wines from the Cellar with the help of the Island’s Sommelier. A peerless setting for the perfect romantic hideaway, North Island is ideal for luxurious honeymoons, intimate proposals, milestone anniversaries and memorable babymoons. It is a dream wedding destination offering tailor-made barefoot luxury weddings and for bucket-list celebrations, the entire Island can be booked exclusively. The combination of personalised and discreet service, the generous all-inclusive offering, and the endless sense of space and time creates an exclusive, yet relaxed ambience where couples can celebrate their relationship and create unforgettable memories. The Island’s diversity of activities offers plenty to do as well as plenty of opportunities to just relax, but importantly it ensures that guests get to spend plenty of uninterrupted time together. Away from the rest of the world. Book before 31 March 2018 and “fly on us” from Mahé to North Island. 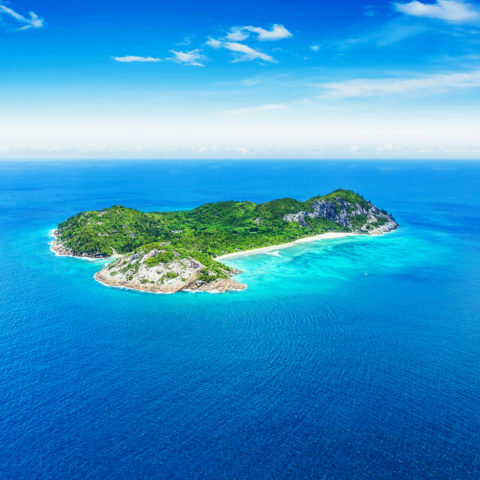 Receive a complimentary one-way helicopter transfer with a 5-night stay in a Presidential Villa, or book Villa North Island, the ultimate in romantic seclusion located at the far end of the Island’s main beach, and receive a return transfer. Stay longer to take advantage of North Island’s Stay 7/Pay 6 special and enjoy even more of North Island. Learn more about romantic getaways on North Island.